Since the Presidential Convention season is underway my mind has wandered to memories of elections that my father participated in. Years ago my father was a member of the American Independent Party. I looked him up on The Political Graveyard and found that he was a Presidential Elector Candidate from Iowa in 1972. This was not the only election that he was involved in, but it is the only one that is listed at the site. I decided to look up and see who the Presidential candidate was for the American Independent Party that year. The candidate was John G. Schmitz, and he did get more than one million votes that year in the election that Richard Nixon won in a landslide. In reading more about John G. Schmitz, I found that he was an interesting character. This post is not about Schmitz, so we will leave him behind and move back in time six years. 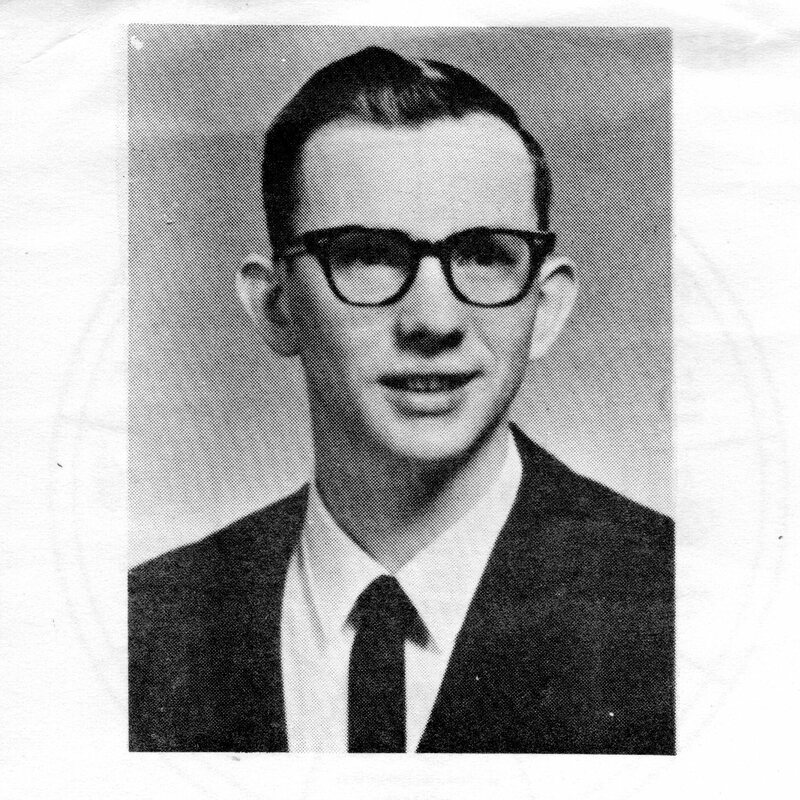 In 1966 my father was the American Independent candidate for the Iowa House of Representatives. I found it interesting to review the leaflet that he used for the campaign. There are several items in the leaflet that make me think of the present. Not much has changed in some respects. Sometimes just the terms have changed. The basic ideas and issues have remained the same. 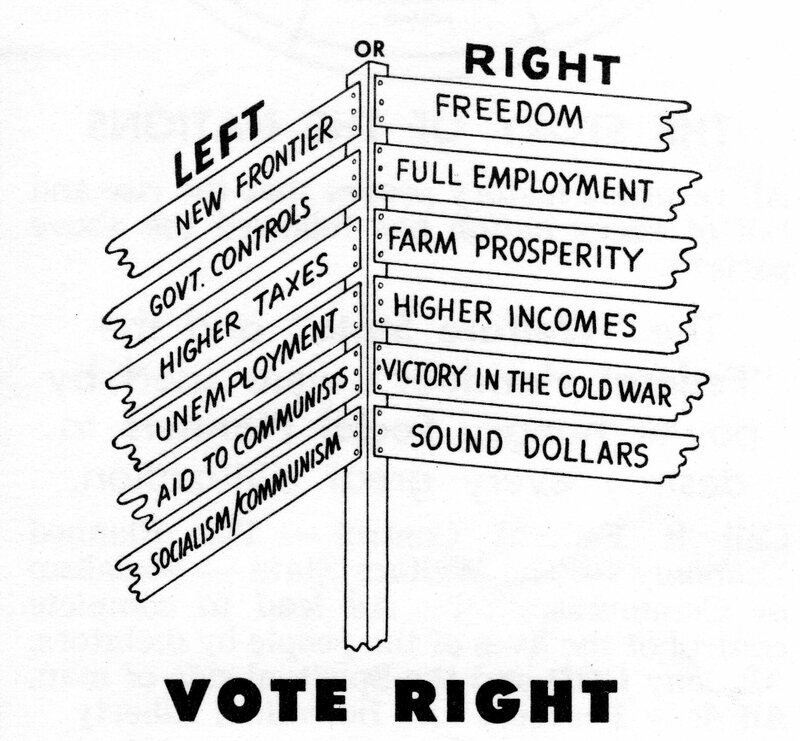 On the front of the leaflet is an illustration contrasting the Left and the Right. With a few changes in terms, the same illustration could be used today. Has politics changed much in the last 46 years? We are passionate about most of these same issues today. Government – Servant or Master? The section gives a clear warning about the dangers of big government. Do we see the same concerns today? 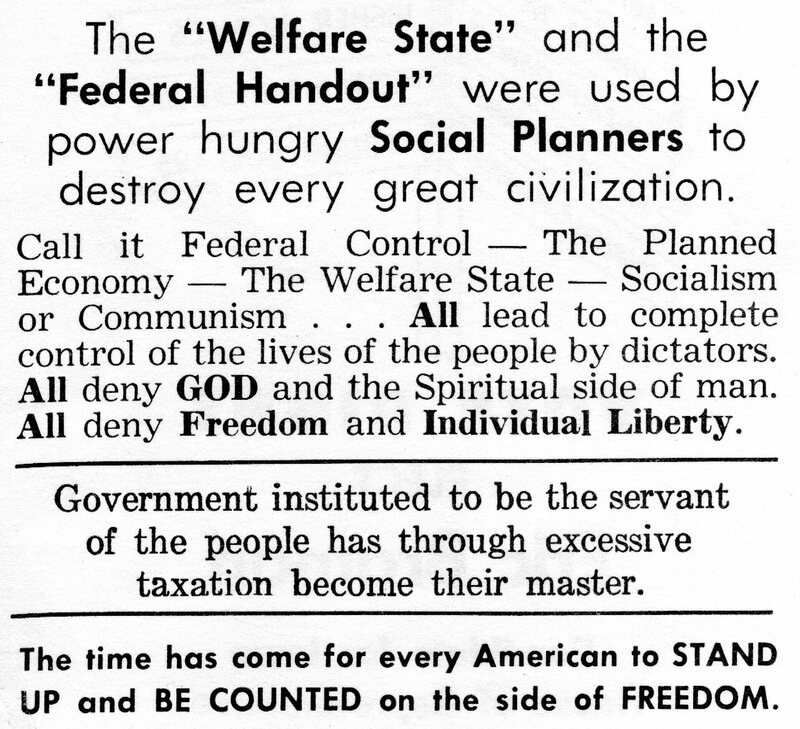 Have we become a Welfare State? Is the Government our Servant or Master? Interesting questions. My father did not win the election in 1966, but he did stay active in politics. In 1972 he ran for State Senator of Iowa as well as being the above mentioned Elector Candidate. He also ran for Mayor of Ottumwa, Iowa in the mid 70’s. I do remember that campaign. I had a bumper sticker on my big red wagon and also remember helping paint signs that attached to his blue pickup truck. In the late 70’s we moved from Iowa and my father’s political career came to an end. I have a few political campaign stories of my own to share at a later time. I was never a candidate, but I have done a little volunteer work on a couple campaigns. This entry was posted in Family History, Memories and tagged American Independent Party, Campaign, Convention, Culture, current-events, Election, Family History, Iowa, memories, Ottumwa, politics, Presidential Election. Bookmark the permalink. Steven, do you think a Christian could become President and remain one, perchance they were elected?? Glenda, I think this comes down to an individuals definition of Christian. The vast majority of our leaders profess to be Christians, including our current President. If we restrict the definition to a conservative faith and belief I would say that it would be difficult.